This is the second of three events in our Run Pure & Simple series: running events with all the essentials and no bells and whistles. You get a great course, timing, water and an awesome atmosphere. 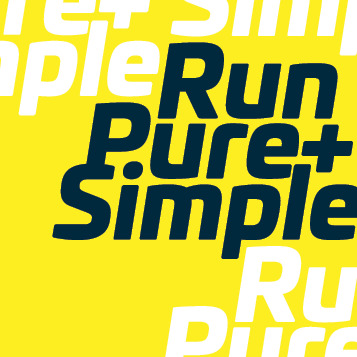 All Run Pure & Simple events, including this one, are free to Run Waterloo members. Click Become a Member to the right to learn more. Mail in: To 2 Weberlyn Crescent, Conestogo N0B 1N0 by Tuesday October 15 at 5:00 p.m.
Drop off: At Runners’ Choice, 55 Erb St E, Waterloo by Tuesday October 15 at 5:00 p.m.
Online: Right here at www.RaceRoster.com by Friday October 18 at 12:00 p.m.
Will take place at Riverside Park, 49 King St W, Cambridge (Preston), ON N3H 1B5 from 8:00 a.m. - 9:00 a.m.
A hilly, sometimes technical, roughly 5 KM distance on the trails in Riverside Park. Run Fast. Run Often. Get Points. RW Boost is a new social competition and loyalty program that is free to Run Waterloo members. Note that for booster points, 5k PBs don't count at this race. This race is designed to be a parody of all the un-measured 5ks out there, and as such, isn't really 5k. Ditto points are eligible.